Melbourne Recital Centre is located on the corner of Southbank Boulevard and Sturt Street in Southbank – the heart of Melbourne’s Arts precinct. The City of Melbourne is improving Southbank Boulevard. Construction works may affect your transport to the Centre. Click on the Transforming Southbank box to the left of this page for more information. The Sturt Street entrance of the Centre is the safest place for taxis to pick up and drop off. Our team can assist in calling a taxi for you. Metlink Melbourne provides extensive information about public transport services including timetables and routes. You can contact them at metlinkmelbourne.com.au and 131 638. Stop 17 on the Route 1 service is conveniently located at the Centre’s doorstep on Sturt St. This is a platform tram stop providing level access to low floor trams, passenger shelter and protection from traffic. Alternatively you can alight at Stop 16, in front of the National Gallery of Victoria. 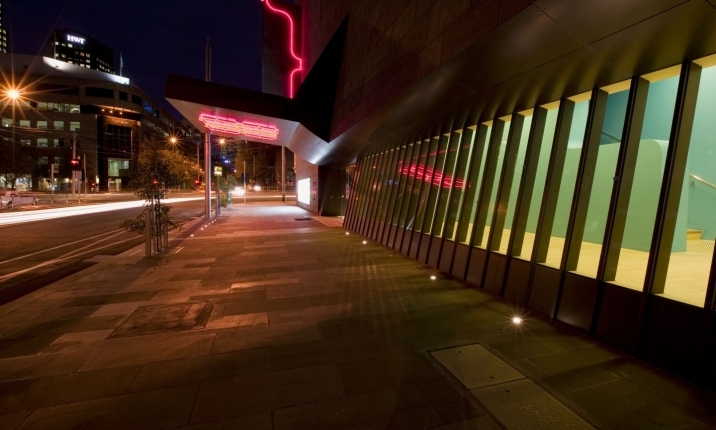 Melbourne Recital Centre is a short walk down Southbank Boulevard (approximately 200 metres). This stop is serviced by routes 1, 3, 5, 6, 8, 16, 64, 67, 72. The nearest station is Flinders Street, located approximately 10 minutes walk from the Centre. The Melbourne City Tourist Shuttle runs in a loop through Melbourne’s CBD every 15 minutes, and stops at the corner of Southbank Blvd and Kavanagh Street (Stop 10). An all-day ticket for the Shuttle costs $5 and children under 10 years can travel free. Limited on-street parking is available around Southbank or you can choose from a variety of conveniently located car parks when attending events at the Centre. Parking for people with a disability is available in both Sturt Street and Dodds Steet (limited spaces in both areas), and also available at all major car parks in the vicinity, including Arts Centre Melbourne Car Park and The Australian Ballet Centre Car Park. All Melbourne Recital Centre customers are entitled to a 15% discount on Arts Centre Melbourne Valet Parking, plus an additional 10% if booking in advance (through the Arts Centre Melbourne Contact Centre or Box Office). For safe drop offs and collections we recommend Dodds Street which is located next to Southbank Theatre and can be entered via Grant Street. This location has four accessible car spaces. From there you will be able to walk along Southbank Boulevard past Southbank Theatre and the restaurants to our entrance. 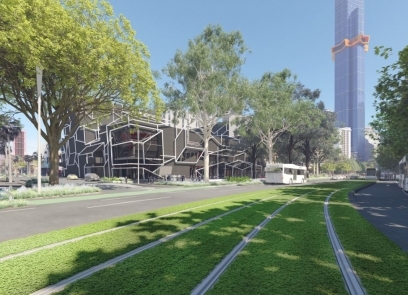 Click here for more information about the City of Melbourne’s Transforming Southbank project. Melbourne Recital Centre welcomes people visiting from regional and rural areas, interstate and overseas. Experience the incomparable hospitality of The Langham Melbourne. Voted for the third consecutive year, winner of the Travel + Leisure Magazine USA ‘World’s Best Awards Readers’ Survey’ as the top city hotel in Australia, New Zealand and the South Pacific. The legendary service of The Langham, Melbourne hotel positions it as a jewel among Melbourne hotels. Its enviable riverside location further enhances the allure of this exceptional Melbourne hotel.